The card is simplistic: It comes totally free of a signature, card number, or other information beyond your name. It is, as far as credit cards go and true to Apple form, pretty freaking beautiful. But the features of Apple Card are what make it interesting. First, it comes paired with Apple Pay, meaning users are able to manage their card and account right from their phones. Apple Card holders are able to easily track their spending in-app, and it will also use machine learning and Apple Maps to color-code by categories and locations, which Apple will serve up in weekly and monthly user-specific reports. Basically, it’ll show you how your spending is trending on a weekly or monthly basis. The idea behind this system is to give its users a better idea of how and where they spend their money to better inform their financial decisions. It may have its moments, but Apple is notoriously focused on privacy and security, and it sounds like Apple Card will be no exception to this principle. On the privacy front, Apple says that it will never track what cardholders buy, where they buy it, or how much they paid. It also says that it won’t store or sell your data, either. The same pledge to not sell your data also applies to Apple’s partners, Mastercard and Goldman Sachs. Beyond the simplistic hardware element of the physical card itself, purchases must be authorized with Face ID or Touch ID and a one-time security code. That means the likelihood that anyone could make off with your card and do some damage damn near impossible. 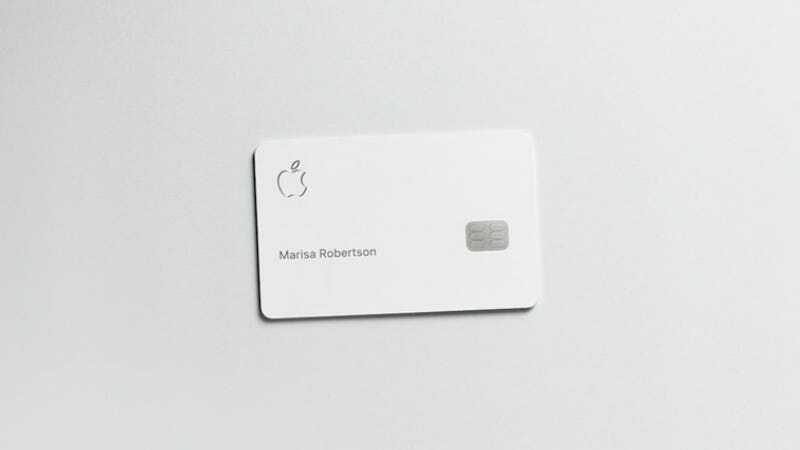 Another Apple Card perk is that it’ll come free of fees—meaning not only no annual fees but also no late or overdraft fees—and the company says interest rates will be low by comparison with industry standard rates. Last but not least: rewards. Apple says it’ll add a percentage of every purchase back to customers through its Daily Cash program. The company says that breaks down as 3 percent on all purchases made with Apple, 2 percent when you use Apple Pay, 1 percent when using the physical card. Honestly, it all has us wondering what’s the catch? Since you’re likely already wondering how to get one, the company says it’ll arrive sometime this summer. Update 3/25/19 4:00 p.m. ET: Well folks, while Apple propped up low-interest rates in its Apple Card presentation, rates now posted to its website look pretty standard. The company said that rates vary from 13.24 percent to 24.24 percent and are “based on creditworthiness.” And while its zero overdraft or late fee policy seemed pretty good at first glance, Apple says that missed or late payments will bump up your interest amount. Basically, it may be a credit card made by Apple, but it’s still a credit card. Correction: A previous version of this article incorrectly stated that an Apple Care cardholder’s interest rate could increase due to late or missed payments. Instead, late or missed payments will increase the amount you pay in interest but not an increased rate. We regret the error.